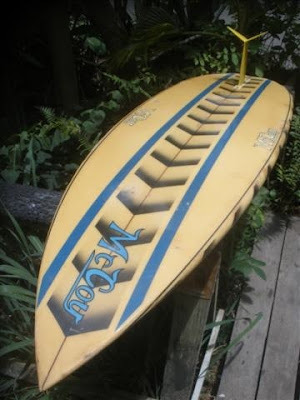 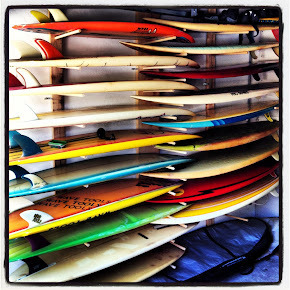 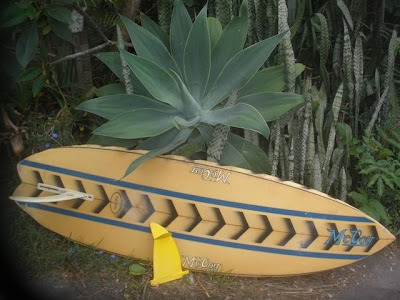 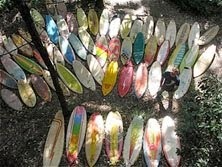 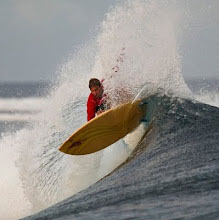 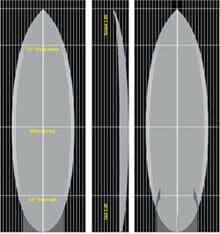 : Board Collector: McCoy Lazor Zap. 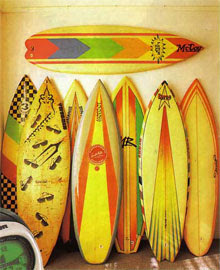 Part 15. U.S connection continued..
McCoy Lazor Zap. 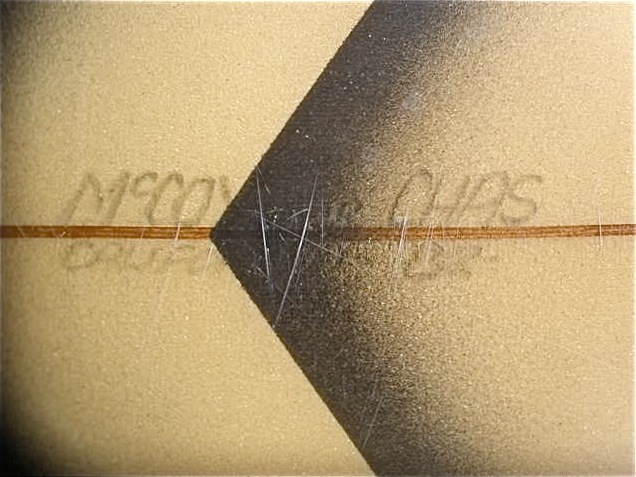 Part 15. 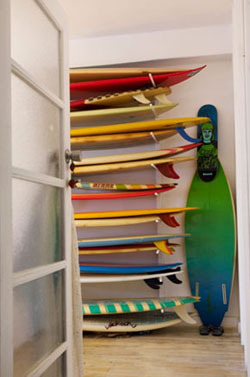 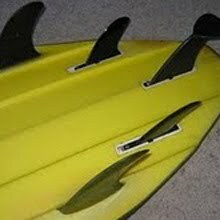 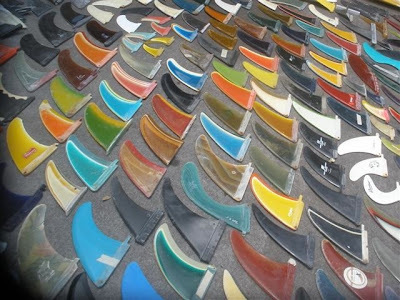 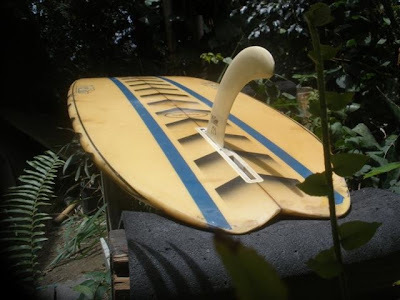 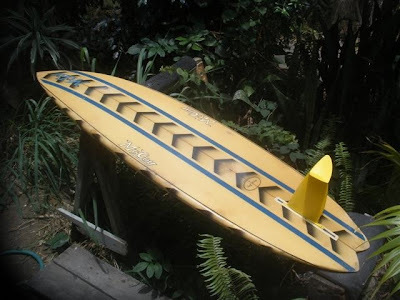 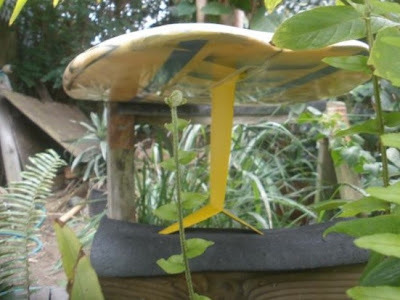 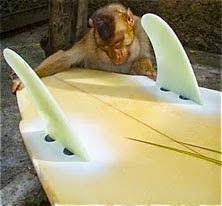 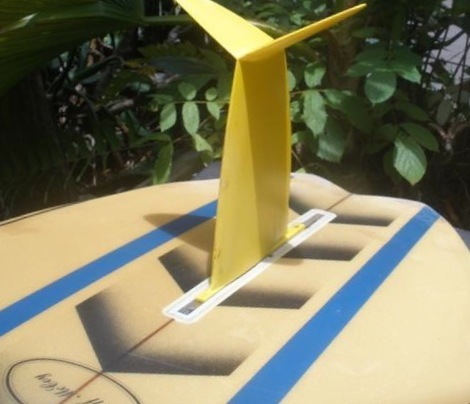 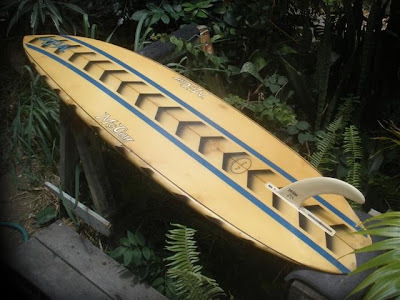 U.S connection continued..
Laurie wrote to say- "Ive been a subscriber to your site for a few years now and I check out all the updates that come through with great interest as I'm a keen board collector myself with about 300 boards in my collection. 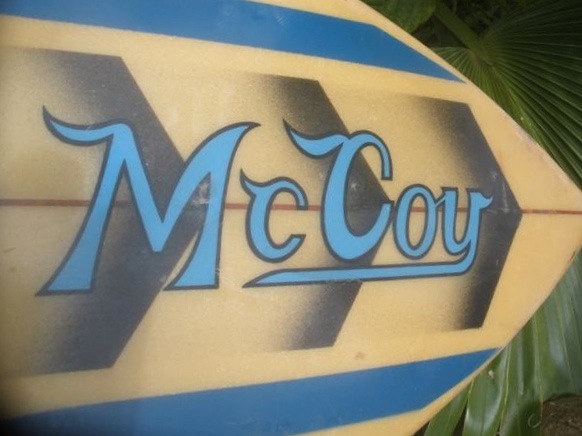 I've been particularly interested in your latest series on 'The McCoy Lazor Zap'! 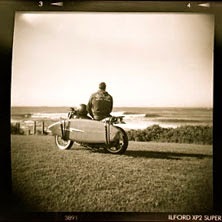 It just so happens that my best mate is Cheyne Horan, and after a little chat with him, we have decided to share with you, and your boardcollector readers, the full history of the 'Lazor Zap' right from the beginning. 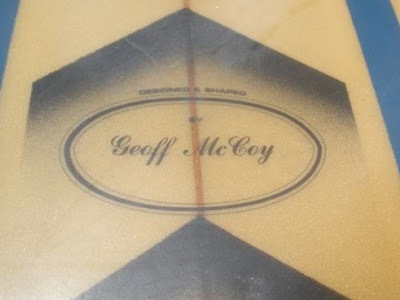 This will include pics of his history making boards that haven't been seen for many years and mind blowing stories personally written by Cheyne about them and the times, the contests and designs. 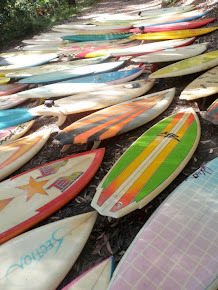 To tell you the truth, i was as excited as a "kid in a lollie shop", as I helped him pull out all these old McCoys and photograph them with him, while listening to the story that went with each board. 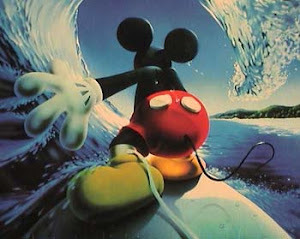 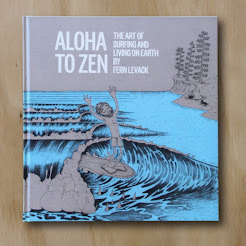 He wants to tell it from the very beginning, way back in the 70's through the 80's, 90's and pretty much up till now." 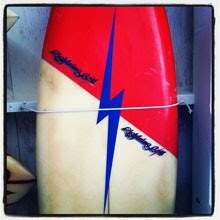 In the mean time Tim from Kona has shared these pics of his amazing Geoff McCoy shaped Californian Zap. 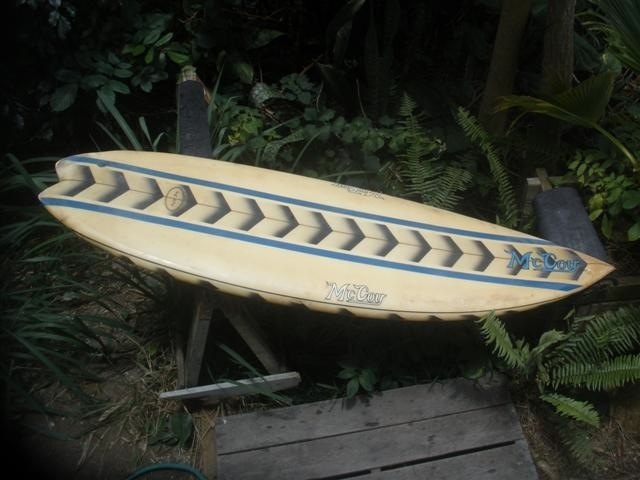 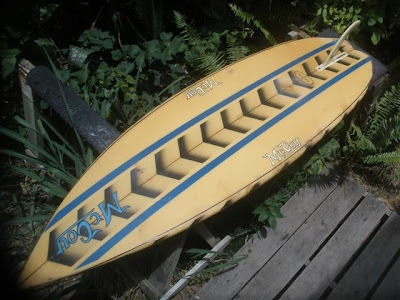 5' 10 1/2"x 20"x 3" all original (except some repairs to the tail & a couple others on the rails) double "bump" wing swallowtail, competition "texture deck" top, flowing arrows signature McCoy air sprays, overall bottom has a slight rolled "V" from nose to tail, singlefin box with both original McCoy style time-period fins...the 7 1/2" boomerang style long-rake fin & 8 3/4" STAR FIN, concept by Cheyne Horan design by Ben Lexcen out of Sydney, Australia. 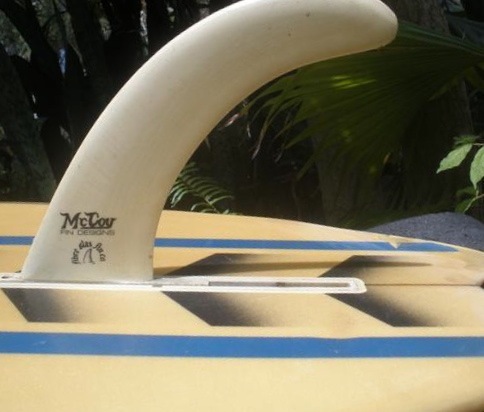 The board is signed on the stringer "McCoy for Chas...California '82" but no serial # on it. 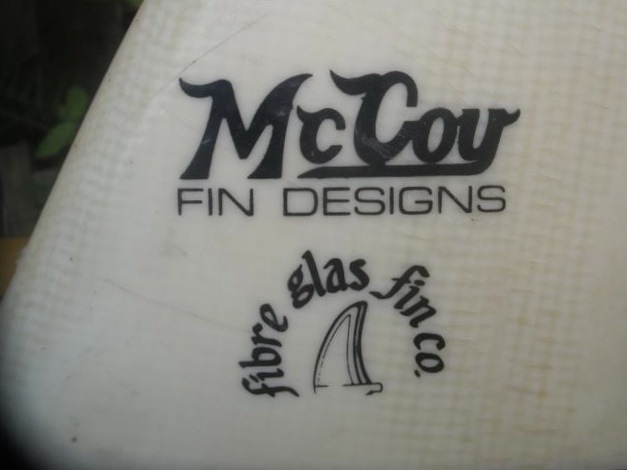 Love seeing the Fibre glass fin company symbol on the McCoy. 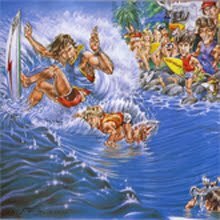 Larry Allison did many of those in the U.S. back then and was also one of the first U.S. agents for the Winged Keel as I remember it.